This product has the powerful sun protection you love, now available in a convenient, mess-free form. Suitable for both face and body, this unique wide-faced stick glides on easily. Its formulated with Helioplex® Technology which helps deliver superior broad-spectrum protection from skin-aging UVA rays and skin-burning UVB rays. Throw it in your bag for on-the-go protection when you hit the beach and beyond. Adipic Acid/diglycol Crosspolymer, Beeswax, Bht, C12-15 Alkyl Benzoate, Diethylhexyl 2,6-naphthalate, Dimethicone, Fragrance, Neopentyl Glycol Diethylhexanoate, Neopentyl Glycol Diisostearate, Octyldodecyl Neopentanoate, Ozokerite, Paraffin, Polyethylene. Directions: apply liberally and evenly 15 minutes before sun exposure. ensure complete coverage to the area above the lip, nose and tops of ears. reapply: after 80 minutes of swimming or sweating immediately after towel drying at least every 2 hours Sun Protection Measures: Spending time in the sun increases your risk of skin cancer and early skin aging. 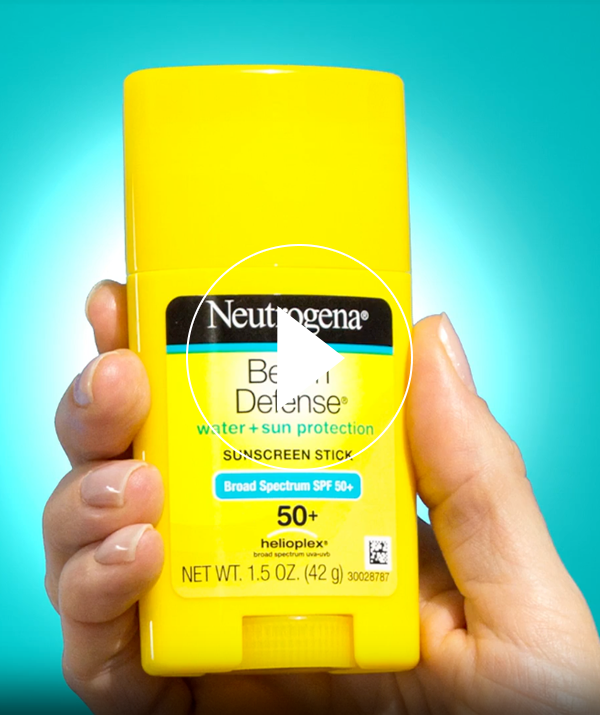 To decrease this risk, regularly use a sunscreen with a Broad Spectrum SPF value of 15 or higher and other sun protection measures including: limit time in the sun, especially from 10 a.m.–2 p.m. wear long-sleeved shirts, pants, hats, and sunglasses children under 6 months of age: Ask a doctor After use, twist stick down prior to capping to ensure complete closure. Ensure complete coverage to the area above the lip, nose and tops of ears.